, helps protect against the three most common threats on the web: phishing, drive-by malware, and harmful downloads. We recently announced some new enhancements to Safe Browsing, so we thought we’d offer an inside look into how it works. Safe Browsing downloads a continuously-updated list of known phishing and malware websites, generated by an automated analysis of our entire web index. Each page you visit, and each resource (such as pictures and scripts) on the page, are checked against these lists. This is done in a way that does not reveal the websites you visit, and is described in more detail in our video on Safe Browsing. If Chrome detects that you’ve visited a page on the list, it warns you with a large red page that helps you get back to safety. Of course, this only helps for dangerous content that Google already knows about. To provide better protection, Safe Browsing has two additional mechanisms that can detect phishing attacks and harmful downloads the system has never encountered before. Phishing attacks are often only active for a few short hours, so it’s especially important to detect new attacks as they happen. 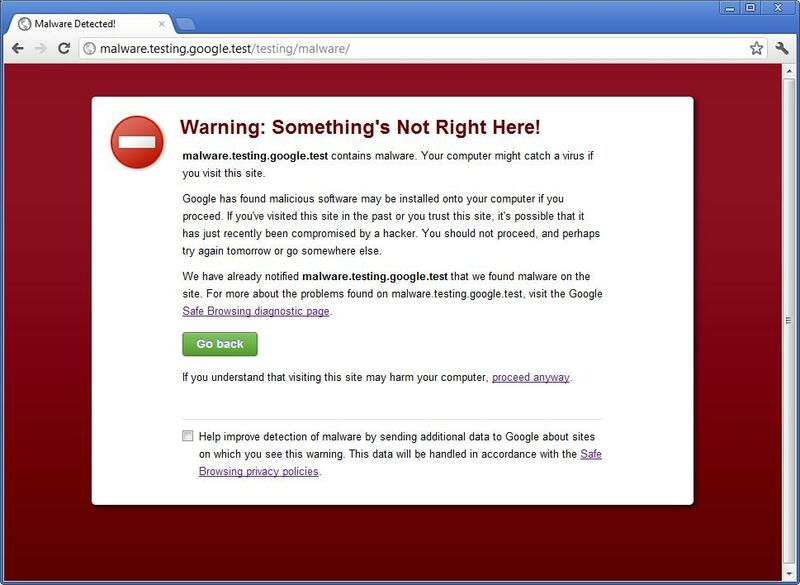 Chrome now analyzes properties of each page you visit to determine the likelihood of it being a phishing page. This is done locally on your computer, and doesn’t share the websites you visit with Google. Only if the page looks sufficiently suspicious will Chrome send the URL of that page back to Google for further analysis, and show a warning as appropriate. Malicious downloads are especially tricky to detect since they’re often posted on rapidly changing URLs and are even “re-packed” to fool anti-virus programs. Chrome helps counter this behavior by checking executable downloads against a list of known good files and publishers. If a file isn’t from a known source, Chrome sends the URL and IP of the host and other meta data, such as the file’s hash and binary size, to Google. The file is automatically classified using machine learning analysis and the reputation and trustworthiness of files previously seen from the same publisher and website. Google then sends the results back to Chrome, which warns you if you’re at risk. 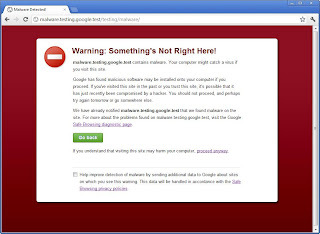 It’s important to note that any time Safe Browsing sends data back to Google, such as information about a suspected phishing page or malicious file, the information is only used to flag malicious activity and is never used anywhere else at Google. After two weeks, any associated information, such as your IP address, is stripped, and only the URL itself is retained. If you’d rather not send any information to Safe Browsing, you can also turn these features off. This multi-pronged protection combines to make you much safer against the most prevalent attacks on the web while carefully guarding your privacy. We’ve always believed in making the web a safer place for everyone, so we also make the Safe Browsing API available for free to other browsers and websites. While the web is a virtual treasure trove of great content, it’s also used by bad guys to steal personal information. One of Chrome’s most advanced security features, Safe Browsing, helps protect against the three most common threats on the web: phishing, drive-by malware, and harmful downloads. We recently announced some new enhancements to Safe Browsing, so we thought we’d offer an inside look into how it works.